Plumbing problems such as slab leaks may surface from any imperfection in the concrete foundation. If you notice a water leak surfacing in a particular area, that does not mean the water leak from the pipe is at the same location. Remember, water moves, and will quickly find the path of least resistance. In some cases, the water buildup could be feet or even yards away from the source of the problem. 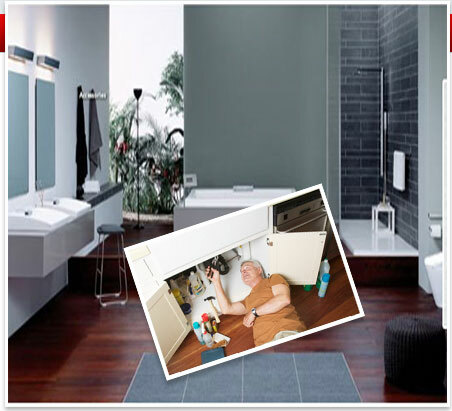 That is why it is vital to have a professional plumbing service technician with all the right plumbing equipment to come out and locate the water leak. There is nothing worse than having a plumber come into your home, locate a leak in the water line and it not being where he said it was. When we locate the water line leak, it will be there, guaranteed. This specialized plumbing service repair is becoming more and more common as more and more houses are built on a concrete "slab" foundation. Water leaks and sewer leaks under the slab of a home can go undetected for long periods of time. We are the plumbing experts at locating these leaks, removing the concrete, digging out the affected areas, repairing the piping, then putting it all back together. 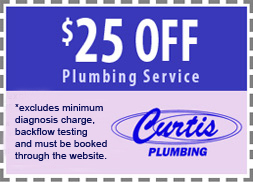 If you think you might have a slab leak, please save yourself the pain and suffering - Call Curtis Plumbing right away. The longer you wait, the worse it may get. We specialize in electronic leak detection and have many pluming service experts who have done hundreds of slab leaks.